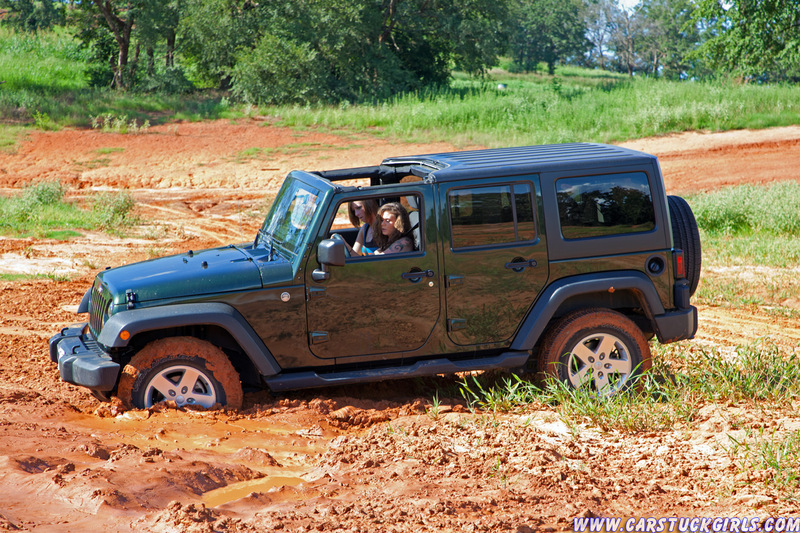 Leanna and Kaitlin go offroading with daddy's Jeep and have lots of fun! They drive over rough and smooth, up and down and finally also through some mud. Suddenly the wheels start spinning and the Jeep stops. Are the girls stuck? Well, until they find how to switch into 4-wheel-drive. They keep going ... but not far, because now all 4 wheels are stuck in mud. And the mud is thick and gluey! The girls try to get out there driving deliberately forward and backward all over again. 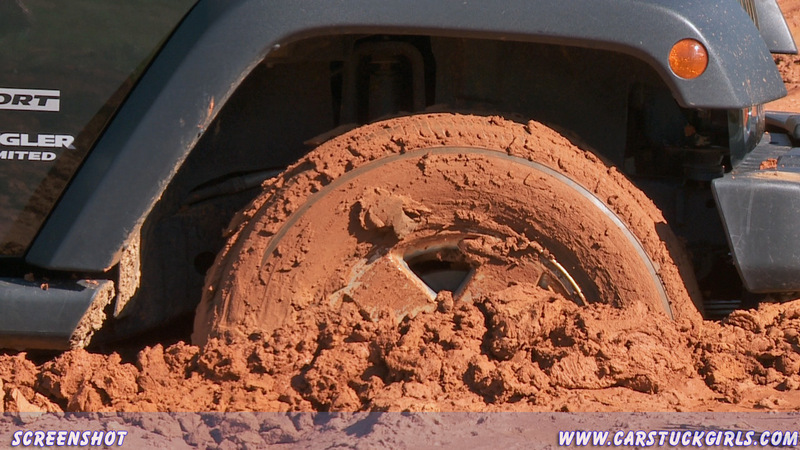 But the wheels keep digging deeper into the mud ... Finally Leanna takes her turn in driving and Kaitlin steps out and tries to push the Jeep from the front. On the way there she can hardly move to the mud and keeps getting stuck with her boots! And over more she also falls into the mud when trying to push the Jeep out. Tough luck. The girls are really in a mess ...!! !